The BPU-4000 4K Base Band Processor Unit from Sony routes 4K signals from the PMW-F55 Super 35mm 4K CMOS sensor camera fitted with CA4000 4K fiber transmission adaptor. The BPU-4000 generates 4K and HD signals at a similar color matrix to match to the current Sony HD camera system, 4K and HD signal outputs simultaneously. The BPU-4000 works with the HDCU-2000/2500 to permit the same system operation as the current HDC camera system. 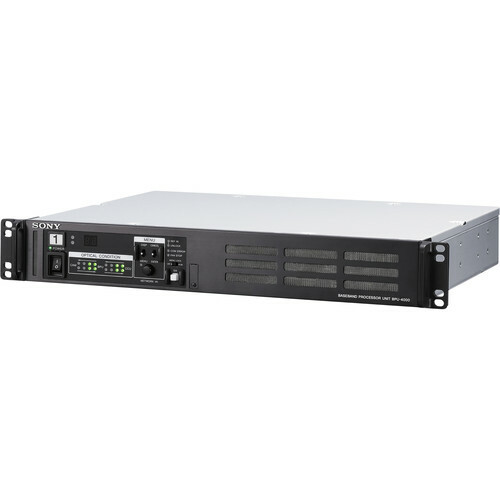 The BPU-4000 works with the same range of Remote Control Panels (RCPs) and Master Setup Units (MSUs) as current HDC Series system cameras, providing a future-proofed migration path for customers. The system works across standard SMPTE fiber cables for distances up to 1.24 miles away.